New Michael Jackson Songs a Bunch of Fakes? Last week, we reported that Sony Music is releasing a posthumous collection of Michael Jackson songs next month, but it turns out that these cuts might not be legitimate. The deceased singer's mother has alleged that the tracks on Michael are fakes. As CTV News reports, an interview on Oprah is scheduled to air later today (November 8), in which the King of Pop's parent calls into question a number of Michael's tunes. She does not believe that her son is actually singing on the record. While she, as well as the King of Pop's children Paris and Prince, doesn't think MJ's distinctive pipes are on certain songs off Michael, representatives from both Sony and the late musician's estate have apparently analyzed the material and given it their seal of approval. 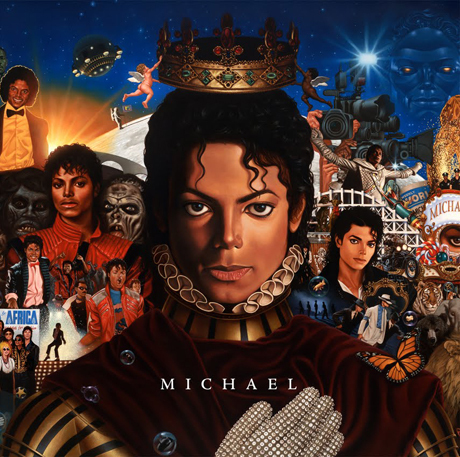 "The creative process never stopped for the King of Pop who was always planning for his next album," Sony Entertainment said in a press release. "Unbeknownst to many fans around the world Michael Jackson was writing and recording songs continuously everywhere from a friend's home in New Jersey to studios in Las Vegas and Los Angeles with a small group of handpicked collaborators." The first single "Breaking News" was leaked today, and the song is currently streaming in full on Jackson's website here. While we may never know for sure if it's really him, we're keeping our ears perked and our sequined-gloves ready in anticipation for some new Michael.